Asus today announces various deals and discounts on its latest Zenfone line-up during Flipkart’s Festive Dhamaka Days which will start from 24th October till 27th October 2018. The devices included are ZenFone Max Pro (M1), ZenFone 5Z, ZenFone Max (M1) and ZenFone Lite (L1). 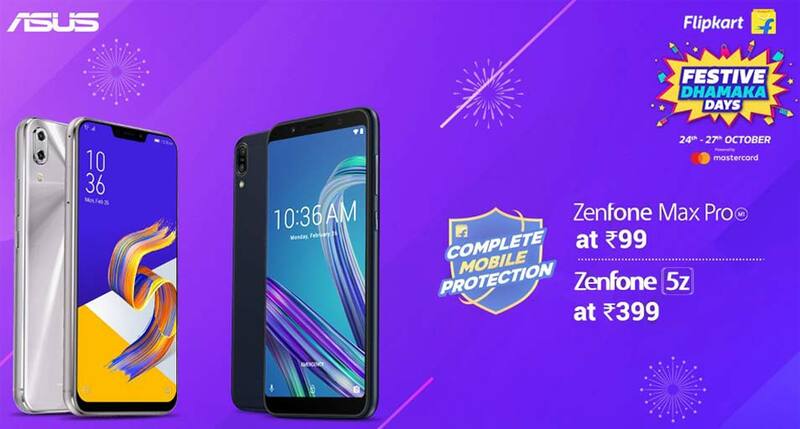 Along with the exiting deals and cashback offers, consumers can also buy Flipkart’s Complete Mobile Protection Plan at a discounted price. Under this plan, the device will be protected from broken screens, water damage, software/hardware issues etc, and also it includes device pick up and return facility.